I swung through Colorado for a hot minute and poped into WeldWerks. 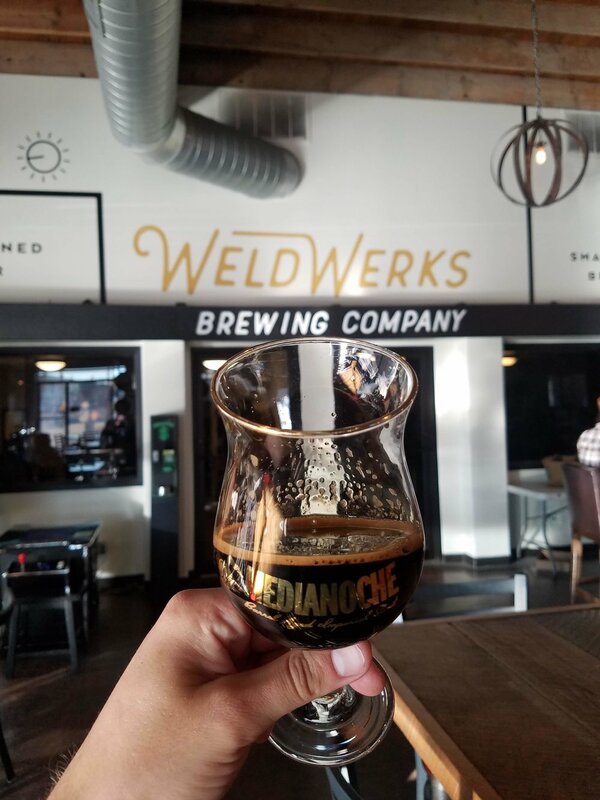 Of the many options in Colorado (the famous Ft. Collins is not far) and the growing number of breweries in Greely I chose Weld Werks (named for the county they are in, not for their welding skills) because I had the hookup. The head brewer is a friend of a friend of a friend and I’m glad he was because Weldwerks was a fantastic choice. They have an insanely large menu of beers and while many of them are stellar hazy IPAs, they really specialize in barrel aged beers. 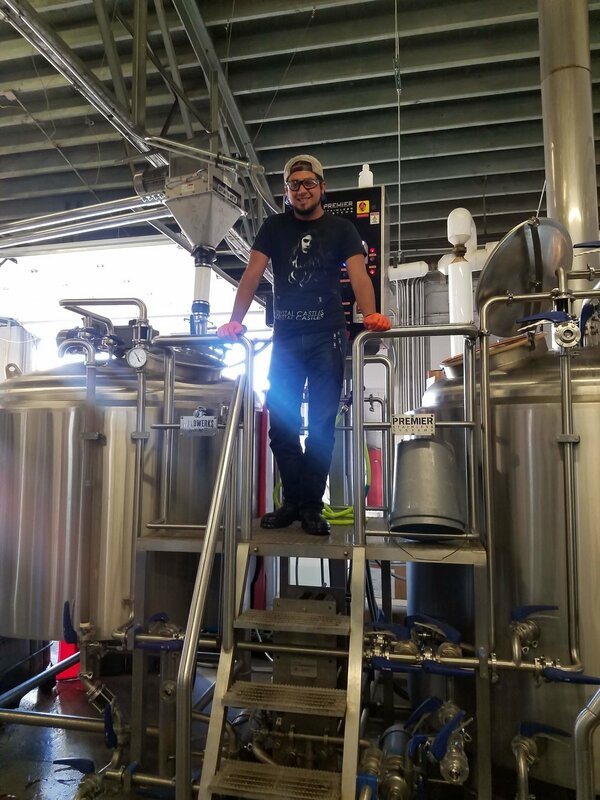 We talk steam boilers, barrel aged beers, and branding with Nick and Kristin.